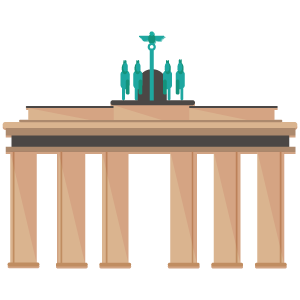 First, visit the emblem of the city: the Brandenburg Gate. This monument is part of the Berlin Wall for three decades. Being once a symbol of division, it now symbolizes the reunification. Then go up the TV Tower: 203 meters high, it offers a magnificent view of the entire city. If you want to visit the Reichstag, the building of the Parliamentary Assembly, opt for the guided tour that is offered. 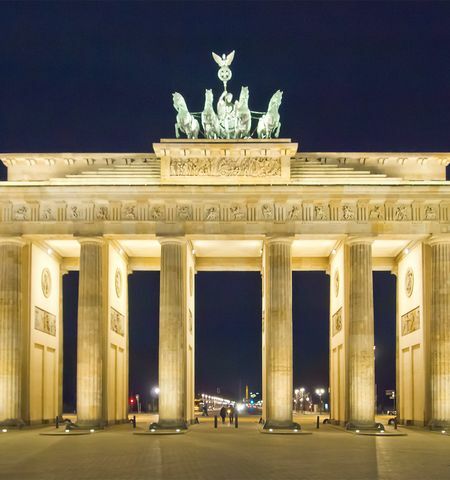 Finally, discover Berlin differently: all over the city you will find "thrift" connected, works of street art and underground concerts because Berlin is above all a city of artists. People from all over the world make Berlin a multicultural place that will surprise all its colors and flavors. Berlin is one of the German cities in the richest historical heritage. To learn what happened during the GDR, visit the "DDR Museum". This is an interactive museum where you can relive the life of the inhabitants of eastern Berlin. You can also visit the remains of the wall that are still present in the city. Remember to visit Checkpoint Charlie, the former best known checkpoint. The museum event "The Story of Berlin" also has information on 800 years of Berlin history. Visit the Landungsbrücken (St. Pauli Piers) and grab the opportunity to take a short boat ride. 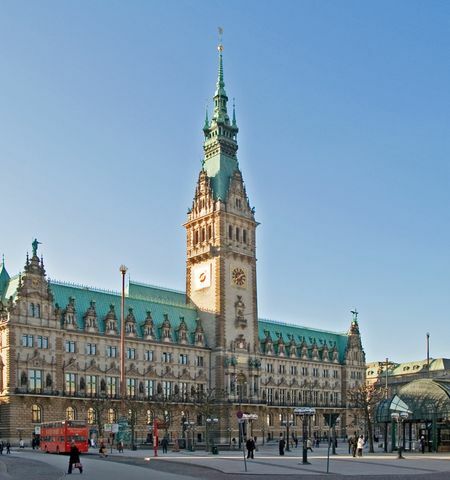 Once back, visit the Speicherstadt (Warehouse District)," which, with its red buildings form the symbol of Hamburg. Old warehouses have been converted into museums, cafes and restaurants. The park "Planten un Bloom" in the city center, is the ideal place for a stroll. Stay there until evening and marvel at the spectacle of water and light. And for nightlife 7 days a week, discover the Reeperbahn (930 meter long avenue that runs through the neighborhood packed with bars and nightclubs). If you want to swim in Germany discover Cuxhaven (a beautiful area around the North Sea), and take a boat to visit the islands. You can even take a special train that lets you bring your vehicle on board to visit the island of Sylt. On the other side of Hamburg, is the Baltic Sea. The most beautiful sandy beaches are here. 3 hours driving from Hamburg you can visit the Island of Rügen, known for its chalky white cliffs. Take a breath of fresh air as you stroll to Cape Arkona. In addition to views of the surrounding nature, you will find an ancient fortress. Not far away is the National Park Jasmund. Also see the mudflat (UNESCO World Heritage Site): the sandbanks and tides make lagoons appear and disappear. Tidal channels create a transition between sea and land. Different species of seals are usually spotted lounging on the banks of the mudlat. Cologne Cathedral is the symbol of the city. The construction work lasted 600 years and was completed in the 19th century. The level of detail captured inside and outside is stunning. On Hohenzollern Bridge, enjoy the great view of the cathedral and the city. On November 11 at 11:11 begins the carnival season. Costumes, music and dancing turns the whole town into a huge costume party. If you are not in a festive mood, enjoy a peaceful boat ride on the Rhine. This will allow you to discover this magnificent city from a different angle. Food lovers have the opportunity to be dropped straight to the Chocolate Museum - a compulsory visit for any coco lover. 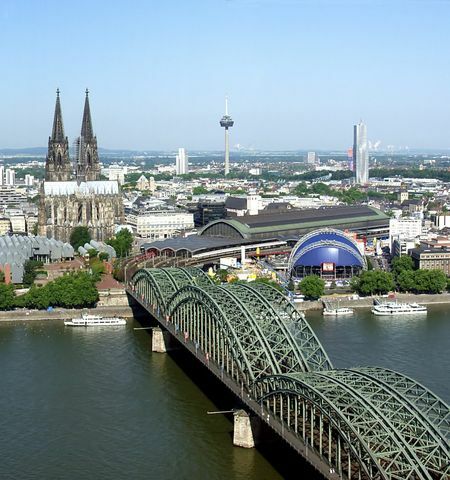 From Cologne you can easily reach the nearby sites such as Essen, Düsseldorf, Dortmund, Bonn and Duisburg. In Dortmund, for example, visit the brewery museum. Football fans, meanwhile, can experience the Signal Iduna Park, Home to Borussia Dortmund football team. Follow the Rhine towards Bonn to reach the Middle Rhine region, known for its stunning scenery and rich heritage characterized by many chateaux. Driving your motorhome, enjoy the freedom waking up every day in a different city or next to another castle. 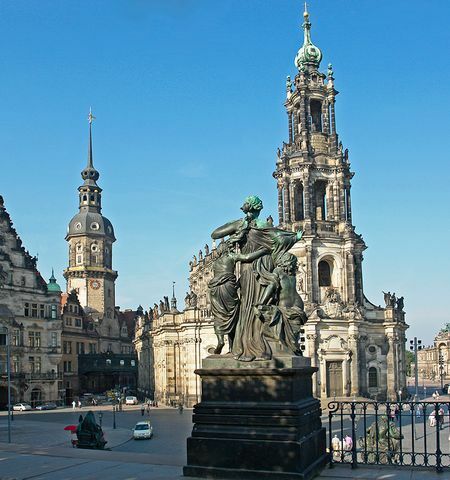 One of the most famous sites in Germany is the Church of Our Lady in Dresden (The Frauenkirche), an incredible structure. Don't for get to experience the opera "Semperoper" (one of the most famous operas in the world). Then go to the "Pfund Molkerei" (a dairy store 19th century which is decorated majolica tiles) which through it's colored earthenware tells fabulous stories. In December, enjoy the magic of Christmas to "Striezelmarkt", one of the most beautiful Christmas markets in Germany. The city of Leipzig is just 1h30 by car from Dresden. The city and its surroundings will charm you, thanks to its high biodiversity. On the road you will pass beautiful lakes, rivers and ponds. Moreover, the Czech Republic is only a few hours from Dresden. This is an opportunity to visit the old city center of Prague and its famous castle. Prague, the "Golden City", also listed among World Heritage Sites. You've probably heard of the famous beer festival "Oktoberfest", which is held annually in Munich. 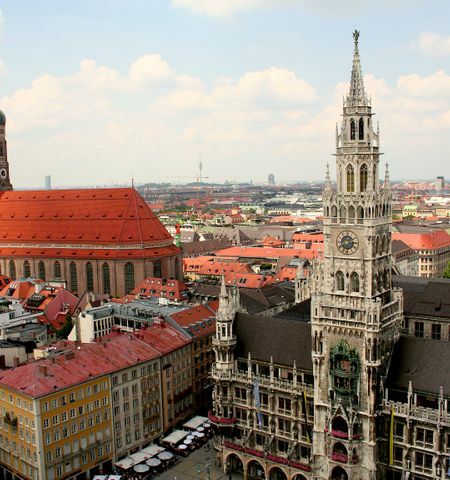 But did you know that Munich is one of the prettiest cities in Germany? Take a walk on the "Viktualienmarkt", a market that offers year-round culinary specialties. Then climb the church tower St. Pierre which, in its 91 meters high, offers a magnificent view of the entire city center. Remember to go through the main square, the "Marienplatz", outside the town hall to join the cathedral "Frauenkirche", the symbol of the city. Plan a day to visit one of the largest museums of science and technology in the world, "Deutsche Museum", you will not regret it! Leaving the city, be sure to take a trip to Lake Starnberg or the Chiemsee lake. Hikers and aquatic sports fans will love it there. It's also the region where the Zugspitze (the highest point in Germany) is located. A train can reach its summit effortlessly and enjoy an experience at nearly 3,000 meters above sea level. Finally, just 1h30 drive, don't miss the Neuschwanstein Castle which inspired the famous castle for Sleeping Beauty, became the symbol of the Disney brand. Visit the city with the most amazing skyline of Germany. Almost completely destroyed during World War II, the city today blends historic buildings and skyscrapers. If you have the opportunity, take in a performance at the Frankfurt Opera - one of the most important opera houses in Europe. In the center, visit the "Römberberg" central square of the medieval quarter, and the town hall, followed by the Cathedral and the Botanical Gardens. A stroll along the quay invites daydreaming. 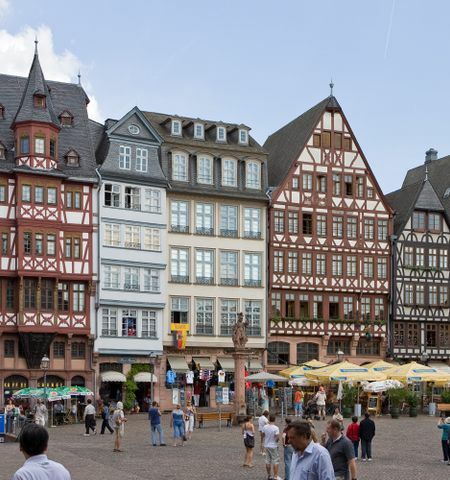 Did you know that Frankfurt was the birthplace of the famous writer and poet Johann Wolfgang Von Goethe? His birth house and museum are open to tourists, to learn a little more about his life and his works. After your city tour is over, head north for a tour of the Saalburg, the only ancient Roman fort in the region. In "GrünGürtel" the green corridor around the city, opportunities for activities in the open air are plentiful. The natural park "Rhein-Main" for example is ideal for a great bike ride. History lovers as families can learn more about the last four centuries from the Hesse region at the outdoor museum "Hessenpark".